Billions of dollars are lost every year by retailers due to vendor fraud and inaccurate inventory control. Whether it is the inaccurate delivery or return of merchandise by vendors or internal staff errors, the ability to maintain an accurate inventory provides a tremendous opportunity for retailers to reduce loss and run a more efficient and profitable organization. Omni-ID’s RFID asset management system is the ideal solution for retailers who realize control of the supply chain gives them control of their business. Simple, scalable and cost effective, Omni-ID’s solutions provide the visibility, accuracy and item-level information currently unavailable through an EAS system. Statistics have shown that retailers average between 50 and 60% accuracy when conducting inventory counts. Implementing RFID increases that accuracy rate to over 99% while dramatically reducing the amount of time necessary to conduct counts. RFID greatly reduces the time required for inventory counts while also making them more accurate. Whereas barcodes require a line of sight in order to be scanned and counted, RFID tagged items do not. Thus, shipments containing individually tagged items can simply be scanned by an RFID reader when they arrive at the receiving dock and be identified, counted and verified versus your inventory order. Within seconds you will be able to authenticate what you received against what you ordered – all without having to open any shipping cartons. Additionally, the speed and ease of inventory counts enables stores to conduct counts at the open and close of business providing greater inventory accuracy and control. Accurate inventories in turn create far more effective restocking systems enabling retailers to hold less inventory, gain more accurate item level replenishment, and reduce out of stock merchandise resulting in more satisfied customers who are able to find the product they want. Loss prevention professionals not only desire to know when something has gone missing, but more importantly, what and where it went missing. RFID readers can be easily placed outside the scope of an existing EAS system around areas such as loading docks and employee entrances providing security and detection systems that provide coverage for the most vulnerable areas. This solution allows you to combat and deter both vendor and employee theft. Omni-ID has the broadest portfolio of RFID tags and labels that are rugged and optimized for on and off-metal uses making them an ideal source-tagging option, eliminating the need for separate tag vendors based on asset type. Source-tagging is a more permanent solution than a simple barcode affixed to an outer package which can easily be defeated. The small footprint of our tags and labels ensure they do not interfere with item functionality while maintaining its traceability. This item-level information lets you know what has been stolen so that you can quickly replenish the item. RFID labels and tags also act as a strong anti-counterfeit solution. Tags affixed to products can contain a variety of information that can authenticate the item such as proof of purchase, warranty and service history. In-flight duty free carts offer an inviting target for theft and loss. 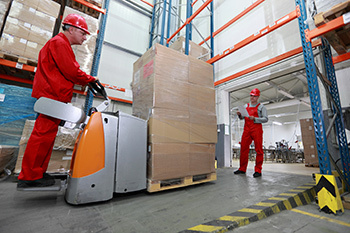 RFID tags and labels are the ideal solution for both inventory control and loss prevention. Tagging the cart and the individual high value items inside allows for easy and accurate tracking of the cart and its contents prior to and after the flight to confirm the amount of goods sold and inventory remaining. Historically, items with foil packaging and liquids were unable to be tracked using RFID. Omni-ID is the original patent holder and expert in on-metal tags and printable RFID labels – providing the most balanced reads in the industry across all asset types. The ability to encode item specific information such as vintage or expiration date are ideal for food and beverage products – increasing inventory intelligence while reducing waste due to spoilage. Embedding RFID at the point of manufacture enables you to more efficiently manage inventory to avoid under stocking and over purchasing. From reverse logistics, to the additional analytics on usage, critical data is gained to help understand how users are experiencing your product. Our manufacturing expertise enables us to customize tags for your application and asset. Have a unique application? Omni-ID owns their manufacturing facility enabling us to create customized tags and labels for any application. Looking for wet or dry inlays? We can provide both.